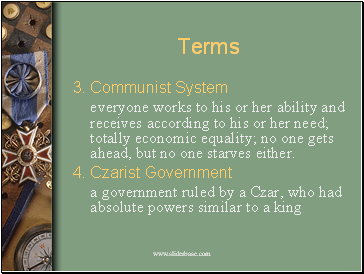 • everyone works to his or her ability and receives according to his or her need; totally economic equality; no one gets ahead, but no one starves either. 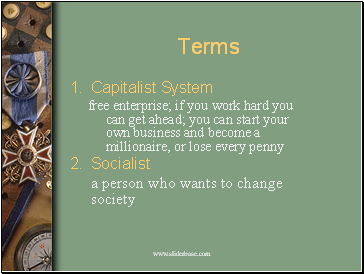 In the mid 1800’s , the capitalist system was going strong in Europe and America. But, the profits of businesses came at the expense of workers who labored 14 to 18 hours a day under unsafe conditions. 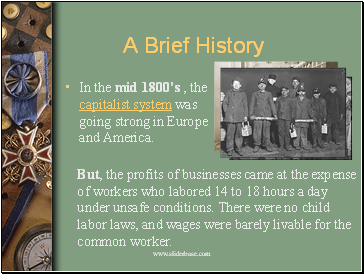 There were no child labor laws, and wages were barely livable for the common worker. 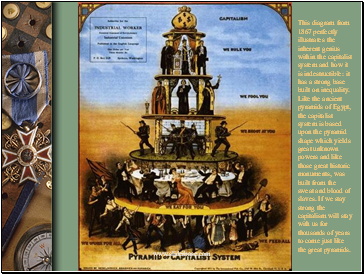 This diagram from 1867 perfectly illustrates the inherent genius within the capitalist system and how it is indestructible: it has a strong base built on inequality. Like the ancient pyramids of Egypt, the capitalist system is based upon the pyramid shape which yields great unknown powers and like those great historic monuments, was built from the sweat and blood of slaves. If we stay strong the capitalism will stay with us for thousands of years to come just like the great pyramids. 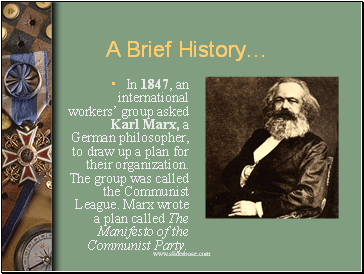 In 1847, an international workers’ group asked Karl Marx, a German philosopher, to draw up a plan for their organization. The group was called the Communist League. 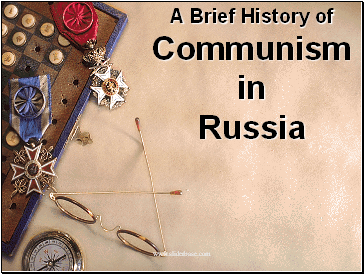 Marx wrote a plan called The Manifesto of the Communist Party. 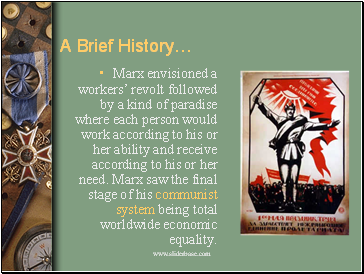 Marx envisioned a workers’ revolt followed by a kind of paradise where each person would work according to his or her ability and receive according to his or her need. 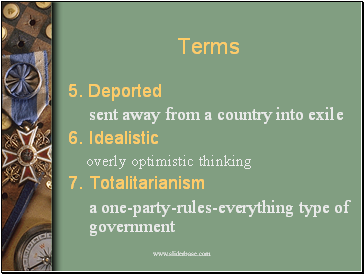 Marx saw the final stage of his communist system being total worldwide economic equality.